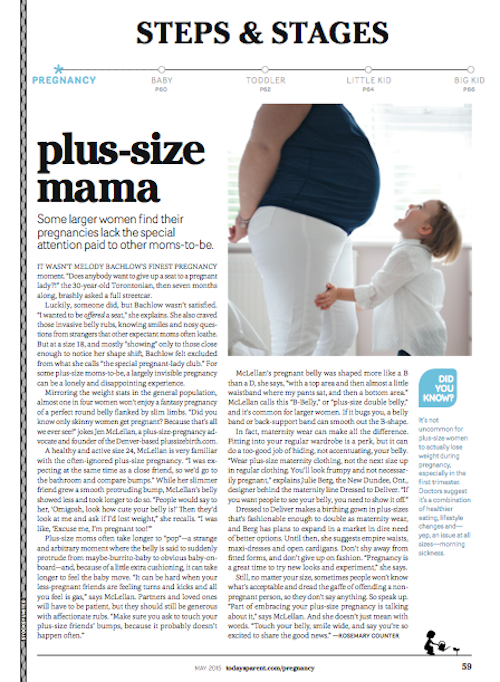 Some larger women find their pregnancies lack the special attention paid to other moms-to-be. I wasn’t Melody Bachlow’s finest pregnancy moment. “Does anybody want to give up a seat to a pregnant lady? 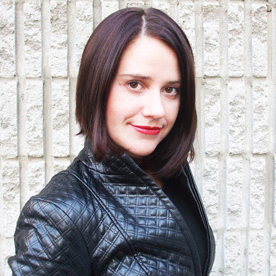 !” the 30-year-old Torontonian, then seven months along, brashly asked a full streetcar. Luckily, someone did, but Bachlow wasn’t satisfied. “I wanted to be offered a seat,” she explains. She also craved those invasive belly rubs, knowing smiles and nosy questions from strangers that other expectant moms often loathe. But at a size 18, and mostly “showing” only to those close enough to notice her shape shift, Bachlow felt excluded from what she calls “the special pregnant-lady club.” For some plus-size moms-to-be, a largely invisible pregnancy can be a lonely and disappointing experience. Mirroring the weight stats in the general population, almost one in four women won’t enjoy a fantasy pregnancy of a perfect round belly flanked by slim limbs. “Did you know only skinny women get pregnant? Because that’s all we ever see!” jokes Jen McLellan, a plus-size-pregnancy advocate and founder of the Denver-based plussizebirth.com. ￼￼￼￼￼￼￼￼McLellan’s pregnant belly was shaped more like a B than a D, she says, “with a top area and then almost a little waistband where my pants sat, and then a bottom area.” McLellan calls this “B-Belly,” or “plus-size double belly,” and it’s common for larger women. If it bugs you, a belly band or back-support band can smooth out the B-shape. Dressed to Deliver makes a birthing gown in plus-sizes that’s fashionable enough to double as maternity wear, and Berg has plans to expand in a market in dire need of better options. Until then, she suggests empire waists, maxi-dresses and open cardigans. Don’t shy away from fitted forms, and don’t give up on fashion. “Pregnancy is a great time to try new looks and experiment,” she says.